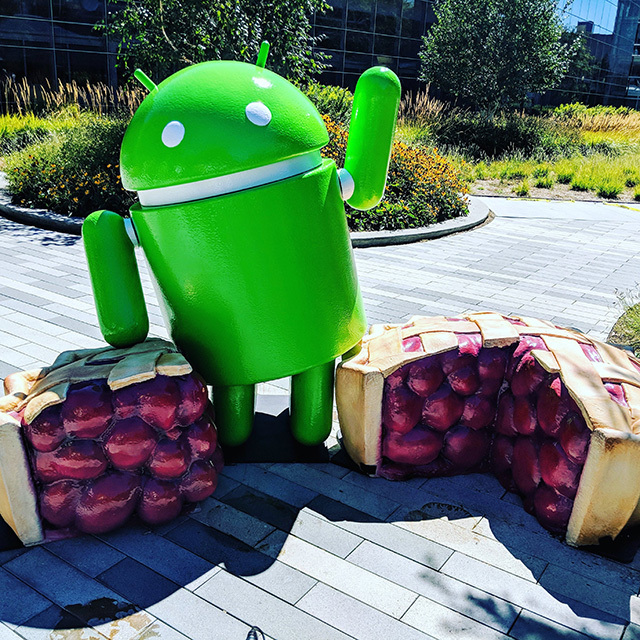 As many of you know, Google unveiled the name of Android P, it is Android Pie, the next name for the next version of the Android OS. And with that, Google unveiled the latest Android statue at the Google campus. This is an Android Status surrounded by Pie. It looks delicious doesn't it.